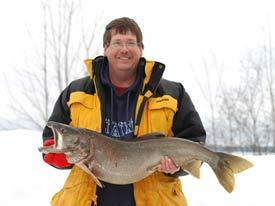 Looking for more information on the fishing at Sebago Lake? You’ve come to the right place. The Sebago Lake Rotary Club’s Maine Chevrolet Sebago Derby is in cooperation with Inland Fisheries and Wildlife. The tournament is intended to be a fish management tool targeting both invasive species along with illegally introduced species that are also considered invasive.